Production is already underway on the long-awaited Captain Marvel movie from Marvel Studios, but that’s not stopping the studio from thinking even further ahead. Speaking with the BBC Arabic’s Husam Asi, Feige revealed that after the world meets Brie Larson’s Captain Marvel, we might just be getting her most recent counterpart. The Ms. Marvel he’s speaking of is the now fan-favorite Kamala Khan. A Pakistani-American, Khan joined the Marvel comics universe back in 2014 as a result of the Inhumans’ Terrigen Mists being released, triggering her shapeshifing powers. Not only is she capable of stretching her limbs to great lengths and widths, but she can also grow or shrink to incredible sizes. Khan is also inspired by Carol Danvers, who at that point had been “promoted” to the role of Captain Marvel, and decides to take on her old moniker of Ms. Marvel to fight crime and do good. 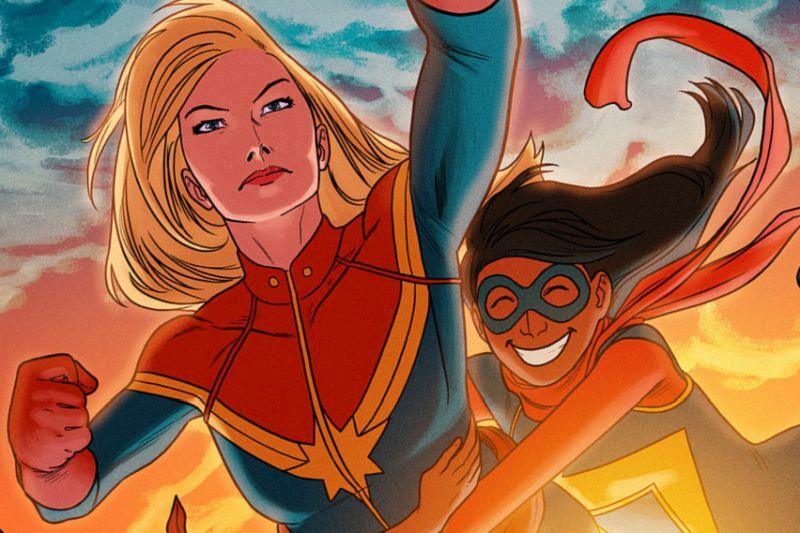 How excited are you for a potential Ms. Marvel movie? Sound off in the comments below!